Why does Jeremy Hughes appear to have done a 'volte face' over anti-dementia drugs? 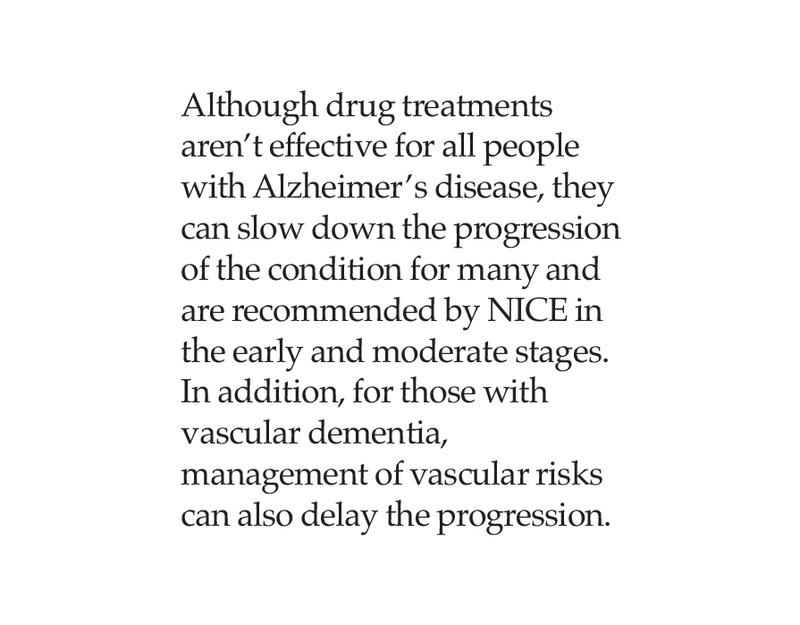 I have previously discussed the Alzheimer’s Society Drug Discovery Programme video here. About 15-16 seconds in, Fiona Phillips says, “They don’t stop dementia from progressing“. The current CEO of the Alzheimer’s Society is Mr Jeremy Hughes. 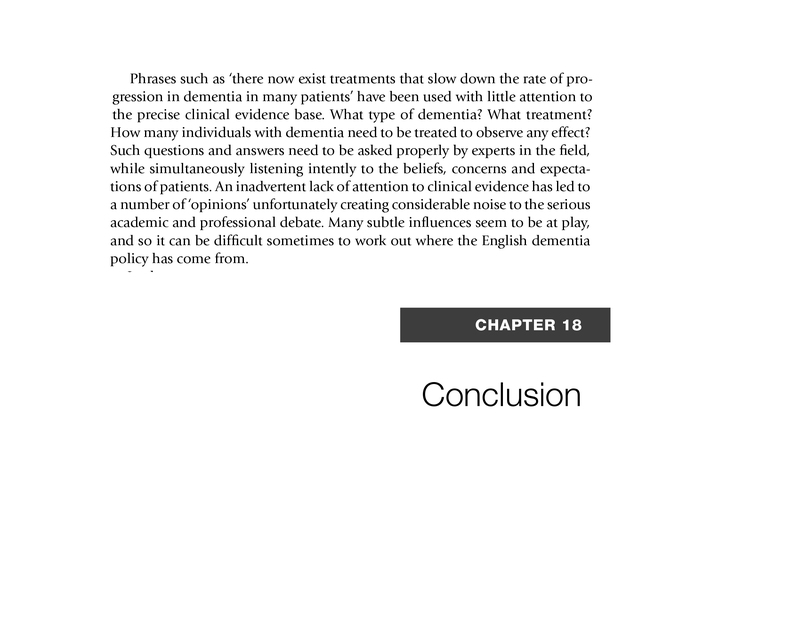 In the July-August edition of Journal of Dementia Care, volume 12, number 4, page 12, for 2013, Hughes states the following in response to an article by Dr Martin Brunet in the same journal. And this has been clearly at odds with the NICE guidance. Here is for example what the judicial review on these guidelines had demonstrated. I must admit that this is only going from bad to worse. In sharing this evidence with my audience of health professionals, many seemed to exhibit furrowed brows and looked at me as if I were an “outlier.” During and after my talk the evidence I presented was challenged by several of those who attended. These drugs, they confirmed, in their understanding, did modify outcome and that is what they told patients. 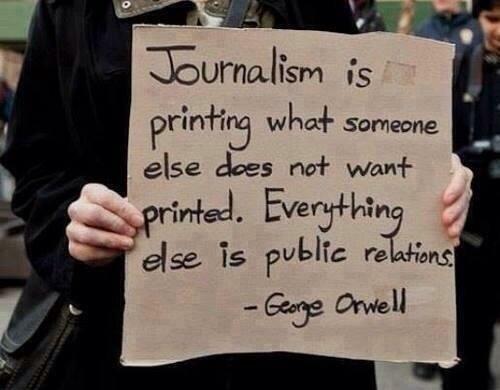 It was further explained to me, after my presentation, that this was the “prevailing” understanding. There is clearly something going wrong with the quality of debate about dementia from clinicians and non-clinicians. 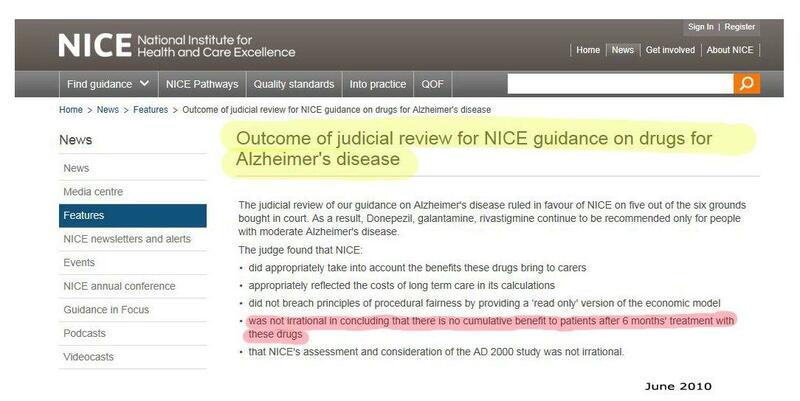 It would be helpful to know if Mr Hughes has changed his mind between then and now, with the #G8dementia having intervened; of course it is possible that the Drug Discovery programme video is genuinely at odds with the views of Hughes. It is noteworthy that Pharma themselves are sending out different mood music concerning the efficacy of their “anti-dementia drugs” which I mention here in my G8 dementia summit survey blogpost. All of this really does matter if we as academics with some knowledge about this area are to conduct the correct discussion about dementia on behalf of persons with dementia and carers including unpaid caregivers. Previous PostInnovations in dementia can be driven from the NHS tooNext PostMy marketing campaign brainstorming session at the RSA this morning for 'decisions in dementia'. Aricept caused my partner’s mother to be her old self again for several months. It wa not permament but it did help. Thanks Claudia very much. I think most reasonable people believe sincerely that these medications might help in the short term for symptomatic relief, and that there are definitely some individuals who benefit much more than others. The specific claim is ‘slowing progression of disease’, which is altogether different, and which NICE refer to.